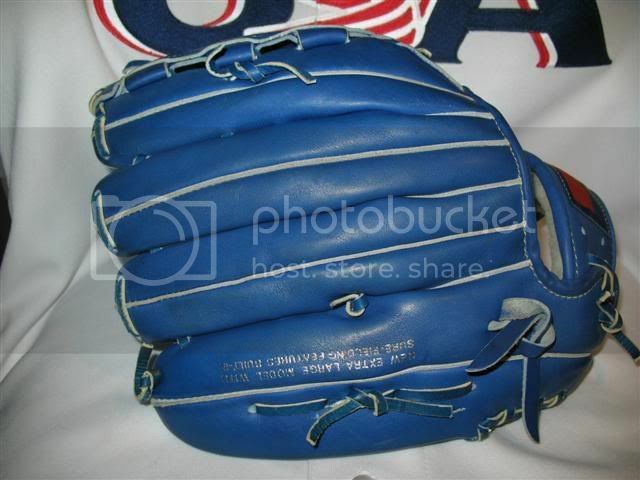 WWW.GLOVE-WORKS.COM BASEBALL GLOVE COLLECTOR FORUM • View topic - Mizuno Experts? Need someone highly-familiar with older Mizuno pro-model gloves. 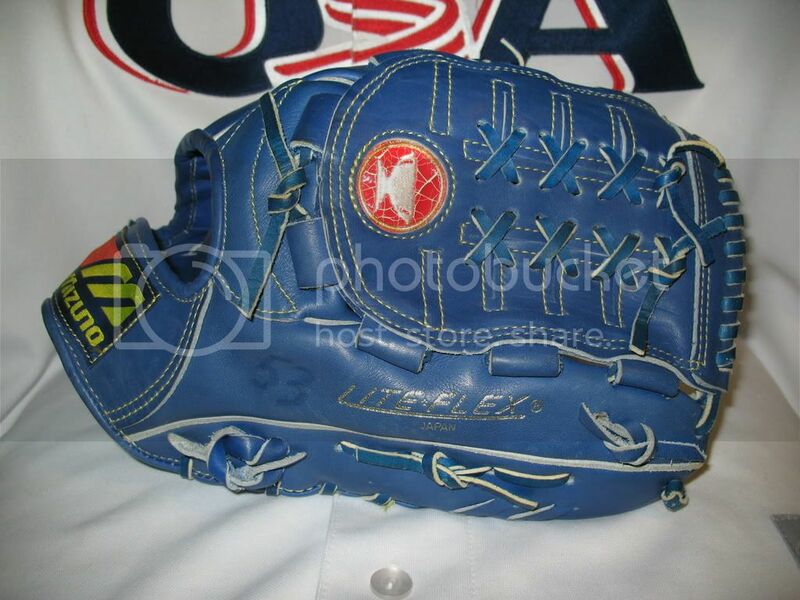 Wanted to know if Mizuno ever offered a retail blue/navy blue outfielder model glove? Post subject: Re: Mizuno Experts? I believe they did back when the World Win series was being produced. You could also order customs in blue. I was hoping they had outfielder models in blue and that someone on the forum has one in a LHT. MZP Ichiro 51 (navy blue. Ichiro trap). GMP 55 (Matsui model, with single post/cross web). Original came in navy, and was later released in 55R (red) and 55BK (black) versions. Apologies. I now realize I wasn't specific enough in my post. I wanted to know if they made the old World Win and/or Curley Bates outfielder gloves in blue. I've only ever seen a few blue World Win gloves before. I believe all of the ones I saw were pitcher/infielder models. That's not to say they didn't make one but it would have been 20 years ago or so when they did. Mizuno was very small in America then so finding a used one is really tough. Your best bet if you want a blue Mizuno is to either go custom or grab a new production Japanese model on eBay or one of the Japanese retailers that ship to the US. 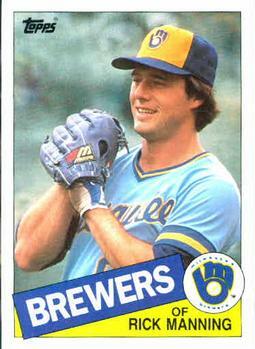 So, it could be, that any blue-colored OF gloves I've seen from that era were likely pro-player customs ? No, I wouldn't say that. There were regular production blue Mizuno gloves, they were just rare. Like I said, Mizuno wasn't very big over here back when the World Win models were being imported. They do exist, it will just be much harder to find a World Win in blue. Even regular tan or black World Win gloves are pretty rare. If you have your heart set on a blue Mizuno you will probably have to look at new production/custom gloves.